It seems like a lot of artists are concerned about creating music that fits a niche - music for massage, music that soothes, music that uplifts, etc. - and then there are those who throw classifications to the wind and just follow their passions. 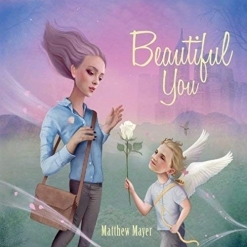 Matthew Mayer is one such artist, and I’m so impressed that he has such courage in his musical convictions at such a young age (currently 26). A little bit new age and a little bit rock ‘n roll, Mayer’s music immediately reminded me of Dax Johnson’s with a little more polish. Exploring the tender sounds of the piano as well as its full sonorities, Mayer’s compositions are full of life and vibrance. I REALLY like this album! Even the booklet that accompanies the CD is exceptionally nice, with some beautiful beach and ocean scenes. The CD opens with “A New Day,” a piece that is warm and inviting and sparkles with anticipation. “Ocean Sunset” captures the graceful beauty of watching the sun go down and disappear into the ocean. Light dances off the water, and the sky turns so many different colors that it truly calms the soul. The title track is the first piece that reminded me of Dax Johnson’s very intense playing style. Much darker and “bigger” than the previous tracks, I find this passionate piece very compelling. “No Regrets” quiets the mood, becoming reflective - another beauty! “The Burning Candle” is a favorite. Intense, passionate, and very dark, the changing rhythms are mesmerizing, much like gazing into candle with a flickering flame. “Dreams III” is another favorite. This one reminds me of some of David Nevue’s music with a fast-moving left hand playing a rhythm pattern and the right hand melody dancing around it. 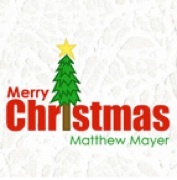 Mayer has had a version of “Dreams” on all three of his CDs. Again very passionate and intense, this colorful piece leans toward darker tones with flickers of bright spots and optimism. I also love “Watching the Clock,” which starts out simply with a repeated bass line that implies the ticking of a clock, and has a mournful melody. Then the intensity kicks in - impatience, anxiety, frustration. The original melody returns and ends in the deep bass - really an effective piece! “Fly Away” combines several themes into a tapestry of longing and perhaps loss. There isn’t a weak track (lucky thirteen of them!) on this CD , and the moods and emotions are varied. 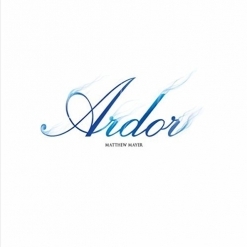 Matthew Mayer’s impressive playing skills and technique allow him to convey whatever he desires, and his passions come through the music incredibly well. I’m hooked! 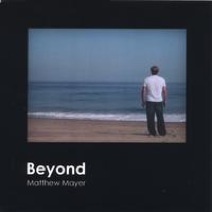 Beyond is available from solopiano.com and cdbaby.com. This isn’t a CD to fall asleep to, but I certainly enjoyed waking up to it for a week or so! Recommended!